We'll use this to calculate your social security benefits. The annual payment you receive from Social Security is based on your income, birth year, and the age at which you elect to begin receiving benefits. The earliest you can begin receiving benefits is at age 62. You get more or less social security depending on what age you choose to begin receiving benefits. Our tool helps you understand what your annual Social Security benefits will look like in retirement. Social Security benefits in retirement are impacted by three main criteria: the year you were born, the age you plan on electing (begin taking) benefits and your annual income in your working years. First we take your annual income and we adjust it by the Average Wage Index (AWI), to get your indexed earnings. This is done to account for the rise in the standard of living during your working years. Then we use the average of your highest 35 years of indexed earnings to calculate your Social Security benefit at full retirement age. Considering when you were born and at what age you want to begin receiving Social Security benefits, we determine how much you can expect to receive at your desired retirement age. 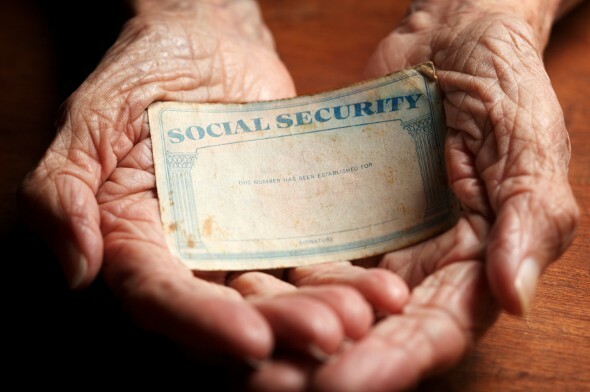 These days there’s a lot of doom and gloom about Social Security’s solvency - or lack thereof. And regardless of whether you think Social Security’s future is secure, the fact remains that you shouldn’t plan on living exclusively off your Social Security benefits. After all, Social Security wasn’t designed to make up a retiree’s entire income. Still, many people do find themselves in the position of having to live off their Social Security checks. And even if you have other income sources in retirement, Social Security can make up a significant part of your retirement income plan. That's why it’s important to know all the rules surrounding eligibility, benefit amounts, taxation and more. Anyone who pays into Social Security for at least 40 calendar quarters (10 years) is eligible for retirement benefits based on their earnings record. You are eligible for your full benefits once you reach full retirement age, which is either 66 and 67, depending on when you were born. But if you claim later than that - you can put it off as late as age 70 - you’ll get a credit for doing so, with larger monthly benefits. Conversely, you can claim as early as age 62, but taking benefits before your full retirement age will result in the Social Security Administration docking your monthly benefits. 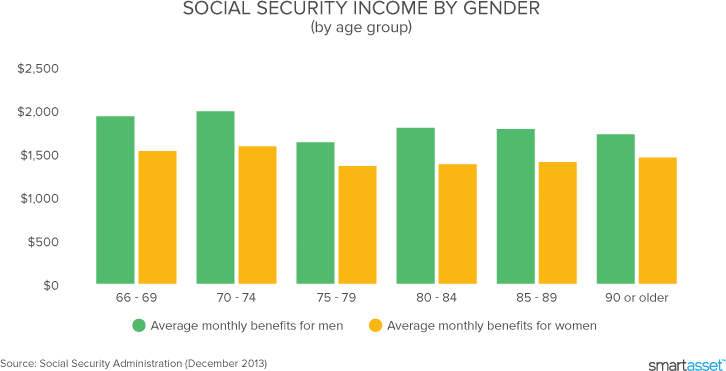 The bottom line: You’re eligible for Social Security Benefits if you’ve paid into the system for at least a decade, but your actual benefits will depend on what age – between 62 and 70 – you begin to claim them. How does the Social Security Administration calculate benefits? Benefits also depend on how much money you’ve earned in life. The Social Security Administration takes your highest-earning 35 years of covered wages and averages them, indexing for inflation. They give you a big fat “zero” for each year you don’t have earnings, so people who worked for fewer than 35 years may see lower benefits. The Social Security Administration also makes annual Cost of Living Adjustments, even as you collect benefits. That means the retirement income you collect from Social Security has built-in protection against inflation. For many people, Social Security is the only form of retirement income they have that is directly linked to inflation. It’s a big perk that doesn’t get a lot of attention. 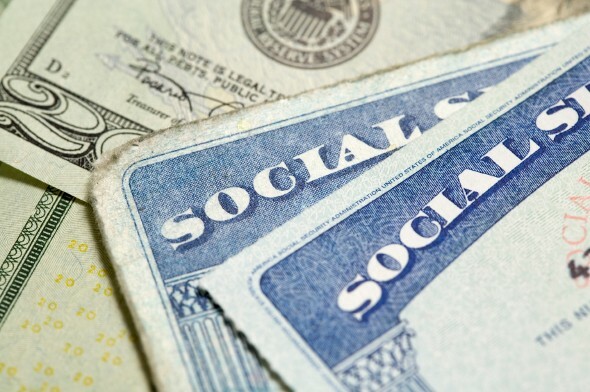 Yes, there is a limit to how much you can receive in Social Security benefits. The maximum Social Security benefit changes each year. For 2019, it’s $2,861/month (up from $2,788/month in 2018). Multiply that by 12 to get $34,332 in maximum annual benefits. If that's less than your anticipated annual expenses, you’ll need to have additional income from your own savings to supplement it. What if I continue working in my 60s? Many people whose health allows them to continue working in their 60s and beyond find that staying in the workforce keeps them young and gives them a sense of purpose. If this sounds like something you’d like to do, know that working after claiming early benefits may affect the amount you receive from Social Security. Why? Because the Social Security Administration wants to spread out your earnings so you don’t outlive them. If you claim Social Security benefits early and then continue working, you’ll be subject to what’s called the Retirement Earnings Test. Contrary to popular belief, this money doesn’t disappear. It gets credited back to you—with interest—in the form of higher future benefits. You may hear people grumbling about the Social Security “Earnings Tax”, but it’s not really a tax. It’s a deferment of your benefits designed to keep you from spending too much too soon. And after you hit your full retirement age, you can work to your heart’s content without any reduction in your benefits. If you have a lot of income from other sources, up to 85% of your Social Security benefits will be considered taxable income. If the combination of your Social Security benefits and other income is below $25,000, your benefits won’t be taxed at all. The amount of your benefits that is subject to taxes is calculated on a sliding scale based on your income. Money that Social Security recipients pay in income taxes on their benefits goes back into funding Social Security and Medicare. If your retirement income is high enough that your benefits are taxable, how do you pay those benefits? You can ask Social Security for an IRS Voluntary Withholding Request Form if you’d like the government to withhold taxes from your Social Security benefits. Otherwise, you’re expected to file quarterly tax returns to pay these taxes over the course of the year. That covers federal income taxes. What about state income taxes? That depends. In 13 states, your Social Security benefits will be taxed as income, either in whole or in part; the remaining states do not tax Social Security income. As you approach retirement, keep track of your expenses so you know how much income you’ll need to maintain your current standard of living. While conventional wisdom says you don’t have to plan on replacing 100% of your salary in retirement income, the high costs of medical care in retirement could result in you needing just as much money as you did while you were working. Our advice? Aim high and save as much as you can. It’s a good idea to check back with a Social Security retirement income calculator periodically throughout your career. That way, you can see whether you’re saving enough for retirement in other ways (401(k), IRA, etc.) to round out the money you can expect from Social Security. The best bet is to contribute to your retirement accounts early and generously—and not get overwhelmed by the mountain of money you’ll need to save. Baby steps. SmartAsset’s interactive map highlights the counties in the country where Social Security benefits will cover the most of a person’s cost of living after paying taxes. Hover over counties and states to see data points for each region, or use the map’s tabs to view the top counties for each of the factors driving our analysis. Methodology Contemplating where to spend your retirement years? While it’s certainly advisable to have some retirement savings of your own to help pay for your golden years, if you will be relying mostly on Social Security benefits, this study can help. We analyzed where in the U.S. Social Security benefits will go the furthest. First, we looked at the average Social Security income for each county. Then we calculated the taxes a typical retiree would pay on that income based on the state-specific Social Security tax rules. We subtracted the taxes from that average Social Security income to determine the net income from Social Security. Next, we calculated how far that net income would go in every county to cover the basic necessities. We subtracted the county-level cost of typical living expenses from each county’s net Social Security income. Finally, we indexed the results to 100, with 100 showing where Social Security would cover the most needs. Higher scores reflect a better environment for living primarily or exclusively off of Social Security benefits. Sources: MIT Living Wage Calculator, U.S. Census Bureau 2017 American Community Survey, Kiplinger, state government websites.